Compare pricing for limo service in Largo, FL. Car service, transportation and limo rentals near Largo. Price4Limo has over 12,000 vehicles in our inventory with photos and prices for you to choose for your transportation needs. Getting a free quote takes less than 30 seconds and no email is required! Limo Service Largo, FL. 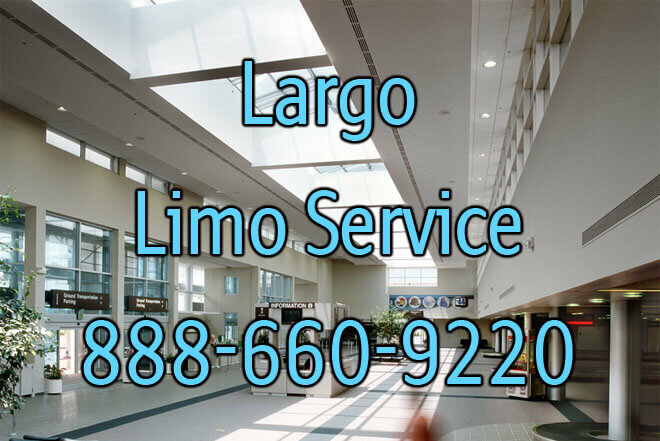 Largo limo service provides a fleet of limousines to choose from when making plans around Pinellas County, FL. 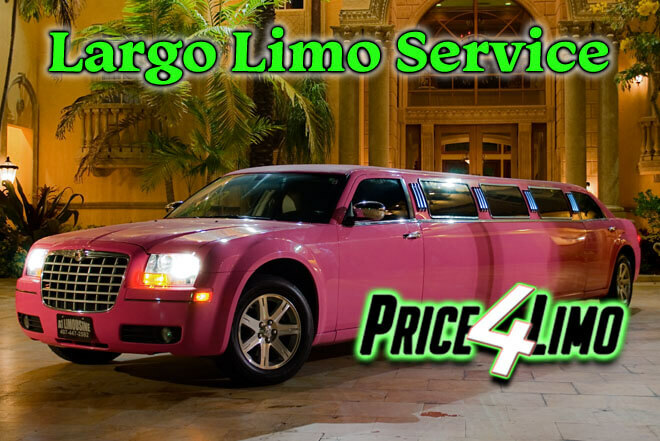 Limo service in Largo, FL provides a fleet of vehicles for hire for any occasion such as a wedding, sweet sixteen, bar crawling, and anniversary. Largo limousine service has a fleet of vehicles to select from. You can make a reservation on any of our limos within a few seconds. Check out our website Price 4 Limo and get the quote on our available vehicles for hire. View all of the limousines in our photo gallery section and make the decision process easier when you know which vehicle you need to celebrate in. Check out our leather interior seating and surround sound system available in the vehicles so you can listen to your own playlist with your MP3/IPOD player while our limousine services in Largo, FL get you to your destination. Preview Largo Limo and Party Bus Fleet. Limo service in Largo, Florida provides a fleet of vehicles to choose from for your celebration. Choose any of the vehicles for hire as you and your group get ready for an entertaining outing in a Largo limo around Pinellas County, FL. Listen to the radio or your own custom playlist as we arrive to your destination. Make your reservation for one of our Largo limousine services whether it is a one way travel, three hour, or eight hour rental. With our professional chauffeur service you can sit back and enjoy the ride as we arrive to your destination. Largo limousine service provides a fleet of vehicles for hire to help with your travel services throughout Pinellas County, FL. Choose the Largo Zebra Hummer Limo for a night on the town, bachelor party, wedding, bachelorette party, and quinceanera. 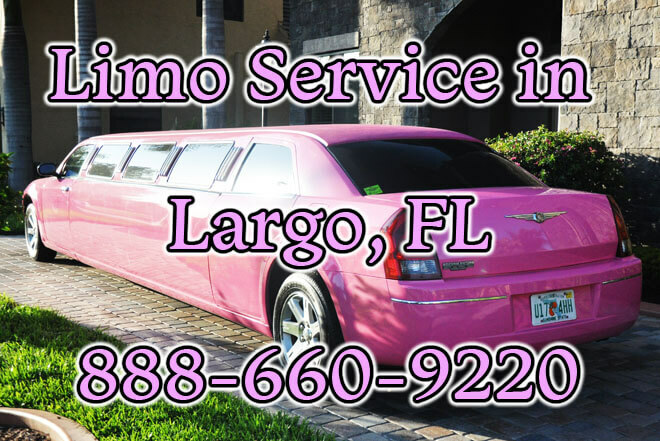 A very popular vehicle you will see the ladies riding in is the Largo Pink Hummer limo for a wedding, quinceanera, sweet sixteen, prom, homecoming, divorce party, and birthday. When you ride in any of our Hummer limos you can have around 14 to 22 passengers riding around Pinellas County, FL. Another popular vehicle with the ladies is our Largo Pink Chrysler 300 limousine with television and DVD functionality within the limousine. Have the ladies celebrate in our the spacious vehicle in our 10 to 12 passengers. Our Largo Black Excursion Limo is a popular vehicle which sits up to 20 passengers. Sit back and enjoy the ride as we take you to the wedding, prom, or corporate event. Watch the 42" television located in the back of our limousine and everyone riding can check out what is being displayed by viewing the smaller screens located throughout the limousine so everyone can view what is being shown without having to look to the back of the vehicle. 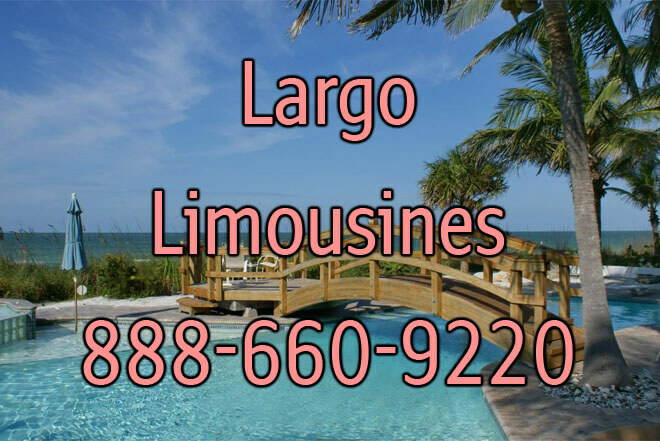 Largo Limo Service will have you and your party traveling all over Pinellas County, FL whether it is going to be for a wedding at the beach, night on the town, or bar crawling. Largo limousine service can provide you with an enjoyable ride throughout the city and some of the surrounding hot spots. hottest clubs around. Head out for a fun and entertaining outing to the Waterin Trough, Mako's On The Rocks, Beach Bar on Mandalay, and more. Enjoy the comfortable seating in our Largo Escalade Limousine which sits up to 10 to 12 passengers for bar crawling, wedding, and divorce parties. The Largo Navigator Limo has seating for 16 passengers and can seen at weddings, proms, homecoming, and bar crawling events. The 10 passenger Rolls Royce limousine in Largo, FL is typically reserved for a birthday, anniversary, night on the town, and wedding. Largo Lincoln Stretch and Cadillac Limousine in Largo, FL provides seating for around 10 passengers and you can ride in these luxurious limos. Whether you need a ride for seaport transfer service, wedding, birthday, or anniversary we have you covered. Reserve any of the Largo limo services and ride comfortably on the leather interior seating and listen to your own playlist with our surround sound system. Largo limo service provides airport transfer service to St Petersburg-Clearwater International Airport as you make plans to travel with your friends or family. Our St Petersburg-Clearwater Airport transportation service is capable of providing you with on time arrival so you can make your way through the ticket counter and security check point. Surprise the family when you have us arrive to your home or at the airport to pick you up in one of our Largo limo services. If you have travel plans to go from St Petersburg-Clearwater Airport transfer to Tampa Port or from Largo, FL transfer to Tampa Port our transportation service can get you to the seaport on time so you can jump into your cruise ship. Whichever the plans may be for your vacation or arrival to St Petersburg-Clearwater Airport our goal is to make sure the Largo limousine you have selected for transportation is there to pick you up and take you to your destination. Our professional chauffeur service provides arrival and departure service to St Petersburg-Clearwater Airport so you can make your way through the airport. Largo Limo Service provides you and your party with a library of limousines to choose from when you visit our website. Check the website Price for Limo and get a quote in a few seconds on any of the fleets to help you enjoy your outing throughout Pinellas County, FL. With a variety of vehicles to choose from making a reservation is easier when you preview the vehicles in our photo gallery section in the website. With a fleet of Largo limo rentals we can provide you with the correct vehicle for your travel needs. Limo service in Largo provides a variety of vehicles for hire to help you with your travel needs as you travel with your friends and family. Our professional chauffeur service is your designated driver for the evening as we have you celebrate in style as you go bar crawling, sweet sixteen, prom, anniversary, and birthday celebration.